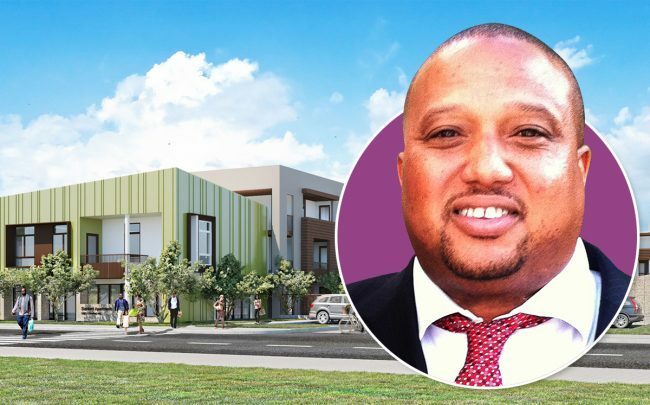 A pair of affordable housing developers secured construction loans for residential projects in Compton and Florence, as county municipalities and builders look to ease Los Angeles’ housing crisis. Hollywood Community Housing Corporation secured a $23 million loan from Wells Fargo for its project in Compton. And JPMorgan provided $16.7 million in financing to a joint venture of L.A. Family Housing and the Coalition for Responsible Community Development for their project in Florence. Hollywood Community Housing’s 85-unit development will rise over a vacant lot at 14733-14803 S. Stanford Avenue, records show. The organization has been working on the project for two years. Despite the need for affordable housing construction in the L.A. area, it’s not unusual for projects to take years to break ground. But avoid that kind of delay, SRO Housing Corporation applied to fast-track a recent project in Westlake. It acted through a state law passed last year that requires local governments to speed up affordable housing development. Hollywood Community Housing’s construction would be split between two three-story buildings. About half of the units will be reserved for “extremely low-income” households, meaning those with annual incomes below 30 percent of Area Median Income. The other units will be split between income levels up to a maximum of 60 percent of Area Median Income. In Florence, L.A. Family Housing and the Coalition for Responsible Community Development are teaming up on a 32-unit project on city-owned land. The development will rise at 6901-6917 S. Main Street. The four-story building would be 100 percent affordable with a mix of studio, one-, two-, and three-bedroom units. It is specifically for homeless individuals and family members. Despite those projects, the number of affordable housing units has sharply declined in recent years in L.A. County. L andlords have converted more than 5,000 affordable apartments to market-rate since 1997, which works out to about five per week. The California Housing Partnership estimates that 12,100 units in the county are “at risk” of market-rate conversion.